Few things do as much damage to your business as good employees leaving. And few things can chase away an employee as effectively as a bad manager. Research has proven that up to 70% of employee motivation depends on the manager. Hold your managers accountable, and keep good workers from leaving before they put in their notice! Employees burn out fast once you start overworking them. But it’s a tempting trap for managers to fall into because, to them, surely there’s some way to get more work out of good employees. The problem is, if you’re going to increase the amount of work or the time someone must work, you must balance this with status changes. Give them a raise, promotion, or a title change if you must work them harder. 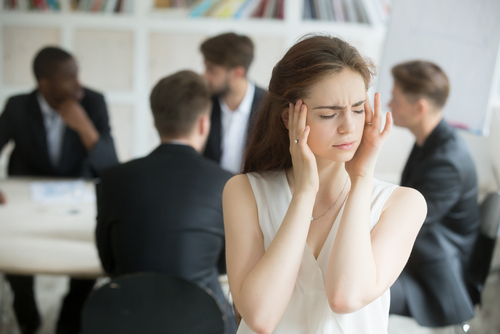 Another reason employees burn out fast is when they don’t feel understood, particularly when there’s a difficulty affecting performance at work or home. This could be another coworker who makes it difficult to focus or to accomplish a project; or a too-heavy workload. Managers should be able to empathize with their team and to help members achieve their goals. However, a manager who fails at this will always have a higher turnover rate. Team members can’t work for someone who sees them as cogs, rather than people. Employees, especially Millennials, desire recognition. That doesn’t mean a gold star for every task, but it does mean acknowledging work done, progress made, and goals achieved. It also means open communication between a manager and a team member to see where an employee can improve. Managers who prefer to fly solo may tend to ignore their team. In consequence, their team members may feel frustrated at the lack of feedback over both positive accomplishments and problems they struggle to solve. If they have a manager like this, they’ll look elsewhere to get feedback. It’s often healthy for employees to be able to manage themselves. But if they have absolutely no support structure, they will flounder. It is the duty of a good manager to manage, and that includes finding ways to help team members grow. Managing requires feedback to employees, challenging them when necessary, and helping them see the big picture. Without this, employees will feel that they’re in a dead-end job and leave. Passionate and talented employees get a lot more done. But some managers may refuse to let their employees use their innate creativity to improve a process, workplace, or project. This sounds like a good idea to everyone, right? These managers may feel threatened if someone breaks limits in this way. This insecurity is a sign of a poor manager willing to limit those around him or her rather than let others succeed. Finally, a bad boss stifles the opportunity to grow intellectually. People want to improve themselves, or at least they should. Successful bosses and managers make people get out of their comfort zones (in a good way) by setting high goals. Then, most importantly, they reach out to help their team succeed. A poor manager won’t challenge their team, leaving employees bored and looking for a challenge elsewhere. Don’t let your managers chase away good employees! Make sure your managers are working to build better teams, and you’ll see greater success through your whole company. At the turn of the millennium, Millennials began entering the workforce, and now they’re taking it over. Experts say that they’ll make up half the workforce by 2020. But due to misconceptions and culture clashes between Boomers or Gen X-ers and Millennials, some employers or businesses may be wary about hiring this generation, much less training them to become future managers. Part of this is due to rumors about what Millennials want in a workspace, such as bean bags and no walls. Let’s dismiss these misconceptions and take a second look at those “lazy Millennials”–and maybe even get them on track to run your business one day. It’s true that Millennials are used to instant gratification and instant results, per the stereotype. But you can use this as a force for good within your office. Millennials’ desire not to waste time can help get meetings back on track, get creative solutions sooner, and innovate processes within your building. Sometimes, this means allowing Millennials to bend the rules and get creative. Some older Gen X managers insist on Millennials following the same rules and “waiting their turn,” as the managers once had to do. But Millennials want the challenge of making the world better and more efficient. Give this to them, and you won’t be sorry you allowed them to bend a few older rules. Millennials and Gen Z also don’t always see the need for face time and being tethered to an office. The younger generations grew up on wifi and digital flexibility. That bred the flexibility to get information from anywhere and at any time. They feel that much of an office’s requirements can be met via email, text, video conference, and conference calls. Though Boomers and Gen X may see this request as another demand for personal comfort over professionalism, it can actually benefit your company with efficiency you might not have had working off of older methods. Millennials want what they do to matter, whether it’s the meetings, their day-to-day tasks, or their job description overall. Because they grew up around terrorism and violence, they do live more in the moment. As a result, they search for meaning in their job and career. If you want to hang onto a Millennial employee, don’t let them feel that they’re easily replaced. They don’t have to feel like the most special person in the office by any means. But if they do not feel challenged, they will leave your business. One of the top reasons Millennials leave a business is because they don’t feel valued or respected. Their one-on-one time with a manager goes overlooked, they’re mistreated in some way, or they feel they’re too replaceable. Millennials also don’t leave a company; they leave because of managers and other people they work with daily. Smart leaders adapt their company culture and dismiss or train managers who will only drive off their younger workforce. Millennials will respond better to mentoring than discipline. While some managers and CEOs might find it hard to adapt, the ones that do will find themselves creating powerful manager-employee relationships. These create trust in the company, better team members, and a more positive company culture. While hiring and training better managers certainly benefits Millennials, this culture of respect and valuing your employees will impact the rest of your business. Getting Millennials on board, if you haven’t already, may seem risky to some CEOs set in their ways. But the best way to improve your business is to take risks and take a step forward. And Millennials, despite the stereotypes, are a risk worth taking. Each social media platform has unique advantages and disadvantages. For example…. Facebook is a consumer-focused social network with high engagement. Fan pages integrate within newsfeeds, allowing content to go viral. It is a good place to post industry-related articles, pictures or videos but a bad place to make a sales pitch. Twitter is a micro-blogging platform for rapid and efficient distribution of information. It is great for joining in on conversations with ‘hashtags’ and news updates. Twitter is a fast-paced platform, and companies often don’t know how often to tweet or how to engage or respond to followers, hurting their online presence. For more information regarding differences between social networks, click here and here. Remember to consider the demographics each channel attracts. Match your target audiences to the appropriate channel(s) they would use. Don’t forget that each platform has its own culture. Fill out your profiles according to the culture with avatars, cover photos, bios and profile information. Also, use the language your target audience would use to find you. Giveaways are great ways to build your audience, while fan competitions are best to get your fans engaged. Media hooks include the following options: product packaging, branded art, soundtracks, demos, or trailers. If you don’t think a media hook is right for you, consider a sneak peek of how a product is made or a service is prepared. Whatever you decide to do, make sure it is in line with your social network(s) and target audience(s). Don’t forget to engage with your audience throughout the campaign. Anticipation and suspense brings forth mystery and curiosity. Do you know what that means? Your audience is going to be asking questions. You need to be the one to answer them. Don’t let the media – or anyone else, for that matter – tell your story for you. Re-tweet, like, comment and respond to all communication from your audience(s). Become a thought leader by being credible and reliable. You’ll have people begging to know what’s next. If you still need help crafting a plan to create suspense on social media, call Divvy. Divvy specializes in social media marketing. Call 801-224-8666 or fill out the contact form below. How do you determine the right depth for your blog post? Is there a golden rule? The answers to these questions are both simple and complicated. Determining the perfect word count is complicated. Some bloggers praise shorter blogs while others support longer ones. At Divvy, we follow a variety of SEO tactics, including each post containing minimum of 300 words. This is our minimum, but again the perfect word count is complicated. The best answer to the question is dependent upon the content. 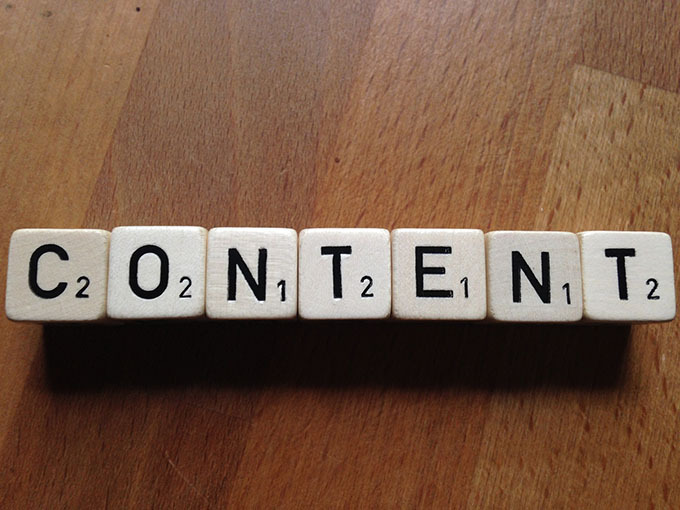 The depth of your blog posts should be led by the content of your post. Are you answering a simple question? Or offering unique insight? You want to provide enough answers to your readers without getting fluffy or off topic. The best rule of thumb: Offer benefit to your readers. 250 to 300-word posts are good for short, sweet, and straight to the point blog posts. You can offer a quick overview of a concept or answer a simple question in these types of posts. This post, for example, contains 435 words. See how I answered a question without overloading you with information? That’s why shorter posts are more frequent. They are easier and faster to write and still useful to readers. 600-word posts allow you to join in on the conversation with greater detail. There is more room for depth, discussion, and creativity. 900-word posts require more research, details, and depth than that of the previous shorter word counts. With this length of post, you need to understand the topic and provide more information to your readers. 900-word posts can discuss information on a general subject or detailed information on a specific topic. With this length of post, you can get more specific with points and subpoints. 1200-word posts are full of relevant, detailed information. There is no fluff in these posts, only rich content. If you are writing an 1200-word post, make sure that your content will meet the expectations of your readers. As you go about writing your personal or business blog posts, make sure you offer the right amount of information to the person who found your blog. If you don’t, they won’t return. Does your business or franchisee need help with blogging or SEO? Call Divvy at 801-224-8666 or fill out the contact form below. Our team specializes in these areas. Talk to you soon! 1. Know and Connect with your Audience. You need to understand what makes your buyer tick. Make that connection. Understand what they require in order for them to want to interact with you and request for more information. Write content that would irresistible to your target audience. The more interesting the information is to your target audience, the more useful it is to them. Find out what particular problem(s) your audience has, and speak to it. 2. Assume your Audience Doesn’t Know what you Know. Avoid jargon, buzzwords and industry-talk. Use terms that they would use in order to find you. They found you, they have come to you. Now you need to explain yourself clearly to them. 3. Make the Content Applicable. Don’t just spit information out into the world. Make the content worthy of reading and applying. Don’t just share information. Share how to do what you are describing. 4. Be a Credible Source. Build trust up front. It is worth it. 5. Write…. and Don’t Forget to Design. Write and design your work so it is easy on the eyes. You spent time gathering information, researching, and planning. Don’t ruin all that work by not designing your content. You want to invite your audience to read and learn more. Avoid writing long sentences. Or follow up with a short one. Write short passages and paragraphs to invite your reader in. Spend time finding the proper formatting so that your rich content won’t be skimmed over. Or worse – bounced away from. 6. Stay True to Yourself. Stay on brand. Use your voice. It differentiates yourself from all the other writers out there. 7. Practice and Analysis Makes Perfect. Go start writing right now! The best way to get better with irresistible content is to practice, analyze, practice, analyze. Share your work! Analyze how well it did. Try something new and analyze it again. Figure out what content is getting looked at and what is working. Do you need help with writing irresistible content? Call our office at 801-224-8666 or fill out the contact form below. Divvy specializes in marketing consulting and social media content strategy. That includes your smartphone, your smartwatch and even your computer – if applicable to your industry. Stop watching your phone for text messages or phone calls and stop responding to Facebook messages and Instagram comments every time your phone beeps. Silence your cell phone, shut down your smartwatch and get back to work. These little distractions occur often and have the ability to completely derail your productivity. It might not be reasonable for your job to completely shut down these personal devices all day. That’s okay! But if you’ve ever said “I’m just going to check my email really quick” and 20 minutes later you’re still replying to people, you need help. Set times, reasonable times, in your work day when you can take take a few minutes and respond to emails and missed calls. Maybe you can get away with only checking your email two to three times per day. Or maybe you can have an automated response for text messages to let people know when you will be available and to try calling back at that time. However you choose to limit your screen time, start doing it now. If you can’t make the time-setting technique work, try the pomodoro technique. Work the hardest you can work for 25 minutes and then take a 5 minute break. This works for a lot people because it lets you start something knowing there is an end (and reward!) in mind. Don’t get discouraged with a seemingly never-ending project. Try out the pomodoro way and take short breaks to relax and rejuvenate yourself. Become one of those make-a-list and check-off-as-you-go people. They know how to achieve satisfaction one step at a time. Keep your list manageable, concise and current. Start each work day with the 5×5 Rule. Determine what the five most important tasks of the day are and do your best to complete each of them by 5 p.m. Check off as you go and relish in the satisfaction. Remove any unnecessary clutter from your workspace. Why? The less stuff your eyes see means less visual stress, and less visual stress means less distraction. It’s that simple. Keep Your Internal Distractions in Check. Internal emotions such as hunger, thirst, tiredness and worry can affect your mental capacity and attention span. Go to work well-rested, full and hydrated. Don’t forget to eat a nutritious energy-boosting lunch! Distractions are hard, but it’s even harder if you need help maximizing your marketing efforts and you’re being interrupted too often. Need help? Partner up with Divvy. Divvy helps franchisees stay on-brand and focused when it comes to marketing. Call our office at 801-224-8666 or fill out the contact form below. What does it mean to be a good leader? And how do you become a better leader? Some people believe that good leaders were born that way, and others believe it takes hard work and determination to become a good leader. Regardless of what you believe, good leaders have a few unique characteristics. Luckily, with a little persistence and knowledge, you can become a better leader today, too. It’s time for you to become conscious of your leading style, actions, and tone. Start doing these nine things to become a better leader today. Passion is contagious. If you become passionate about your job, your employees will notice and follow suit. Plus, you’ll find yourself wanting to be at work and leading, rather than at home and watching TV. Just like passion, attitude catches fire. If one person comes to work with poor attitude, it is likely that person will rub off onto colleagues. The same goes for you as a leader. Not only do you need to be positive on the daily, but you need to maintain a positive attitude when times are stressful too. Employees notice when management is angry, upset, or stressed and it affects how they continue their work duties. Be the leader that inspires employees and colleagues. Be the kind of leader that you want your employees to look up to. When it’s a team effort, recognize that it’s a team effort. Don’t take credit for something you didn’t do by yourself. When you mess up, apologize and take the blame. Don’t blame anything on anyone else when you’re the one at fault unless that is the kind of organizational culture you want to cultivate. Employees need to know that their manager is always available to talk to and ask for help from. They need to know they can openly discuss issues with you while what is said remains confidential. (Get to) Know Your Employees. Connect with your employees on a personal level. Ask them about their family, recreational activities, and other topics that will help you build a relationship with them. This kind of positive interaction will let your employees know that you appreciate and recognize them. They will feel more loyal to you. Promoting creativity among your team will strengthen problem-solving skills and improve productivity. Good leaders encourage new ideas. Collaborate With and Challenge Them. Not all people do well working by themselves, so encourage team work and join in when possible. Additionally, challenge your employees. People get bored doing the same mundane tasks every day. Throw in some change and challenge them to help shake things up, in a good way. The first step in bettering yourself – and your leading skills – is to recognize that there is room to improve… and there is always room to improve. Start small to make a big change. These nine simple steps are something you can start to become a better leader today, but you will need to continue them tomorrow, too. Do you need help with your business or franchisee? Divvy can be your marketing partner and make life simpler for you. Call our office at 801-224-8666 or fill out the contact form below to see how Divvy can help you. An online presence is essential in your business succeeding in today’s world. What worked 10 years ago is not going to work now. According to Google, 97% of consumers search for local business on the world wide web. That’s right – your customers are Googling you (or your product/service) and if you’re not online, you’re missing out on a potential conversion. Having on online presence shows that your business is changing with the times and you aren’t afraid. Instead, you are ready. It shows customers that you are adaptable and more importantly, modern. Today’s consumers are using the internet to ask questions and find answers. If you’re not online then your potential customers are turning to your competitors for solutions. That means you are losing out on business and money. Are you convinced of your need for an online presence yet? The internet never sleeps. It is 24 hours a day, 7 days a week. People are now using Google to find out things like “how to smoke salmon” to “how to vote”. Eighty-nine percent of consumers use search engines to research a product or service before making a decision. The key to being a top result and getting clicked on is to fully utilize your site’s SEO, or search engine optimization. SEO allows your site to be seen by search engines, and thus by consumers. This type of accessibility can’t be replaced by a billboard or brochure. Ask yourself this: What would consumers ask Google that your business, product, or service would solve? In addition to SEO, an online presence allows for you to adopt a greater audience. People from all over the world will be able to see your product or service and some of them may even buy it. Today’s consumer relies on word-of-mouth and online reviews now more than ever before. When was the last time you saw a movie without hearing or asking if it was worth going to see? Establishing an online presence on social media, such as Facebook, and Google, Yelp and other virtual rating websites builds your business’s credibility. These sites allow previous customers to provide a rating out of 5-stars and a summary of their experience with your business. Why is that important? It goes back to the movie theory; consumers nowadays check social media sites and rating platforms before hiring a company or buying a product. Many consumers are wary of business’s lacking an online presence. Afraid of getting a negative review? That’s a rational fear, but you have the ability to monitor your business’s rating and respond to false or fake reviews, establishing and accrediting your online presence even more. That leads us to reliability. The frequency of your posts on social media, the interactions between your consumers and your business online, and the quality of your content all leads up to one thing: the impression your business has on current, previous and potential consumers. If you are frequent and professional on your social media, website/blog, and review sites, you are going to leave a lasting positive impression with your followers. Having an online presence is more than a simple website and Google+ page. It requires brand consistency, frequent postings, quality content, and professional interactions. It might sound like a lot of work, but it is well worth it. Don’t ignore this marketing technique; it is the modern way to built and maintain a successful business. Do you need help with your social media strategy or SEO? Divvy offers marketing consulting for both singular businesses and multiple franchisees. Call our office at 801-224-8666 or fill out the contact form below. Don’t be that guy. Don’t be the co-worker that falls asleep because they went to a late-night movie or the one that stinks because he/she didn’t shower. Do your best to presentable. When you’re in a professional environment, you should be doing your part to look and feel like a professional. Sleep 7-8 hours a night, take a shower, brush your teeth and do your hair. Not only do you need to look and feel good, but you need to put your heart in all that you do. No matter the project, whether it be vacuuming crumbs on the floor or helping your team with a project, give 110%. You know that feeling you get when you finish a project? The one where you feel total satisfaction and accomplishment? That’s the feeling you should aim for in everything you do because that means you did your best. That way, when it comes time to revise or present, you will stand out based off of your hard work. Make a to-do list and schedule, if necessary. It can be hard to do your best when it seems like there are million things to do and no time to do them. In that case, make a prioritized list for the top five things you need to accomplish. Then, create deadlines for each of them. Schedules are not signs of weakness or distraction, rather they are signs of strength and productivity. Make them and use them as your job duty road map. Now that you’re focused on your job duties you can feel relaxed enough to be personable with everyone around you. Make an impression and create a relationship. It can be tempting to hop on social media or run to the break room when you are in between projects. Instead, use this downtime to better your skills. Search engines are full of tips, advice columns and business blogs. If you’re uncomfortable or know you can get better in an area – and there should always be an area – use your downtime to learn more. Destroy negative thinking and comments. Negative thoughts and comments are just that – negative. Learn how to overcome negative thinking patterns and stick to Mom’s favorite rule: If it’s not a nice thing to say, don’t say anything. Tackle new changes or challenges, or at least TRY. When a new change or challenge arises, STEP UP and tackle it. It’s okay if you fail and if you do, ask for help. Your boss will notice your effort, even if you are struggling, and is there to help you succeed. If you are constantly thinking about work or working, you’ll get caught up in professional atmosphere. Don’t forget about your personal life. Go on a drive over the weekend or treat yourself to the new movie you want to see. Make sure that you have a healthy balance between work life and personal life. If you need help managing your work load, let Divvy help you. Whether you’re a franchise needing a better solution for ordering and printing marketing collateral or you’re a business in need of social media or SEO help, Divvy is here for you. Call our office at 801-224-8666 or fill out the contact form below for more information. Talk to you soon!